Den här tjejen får mig lust att skaffa en sommarhatt! 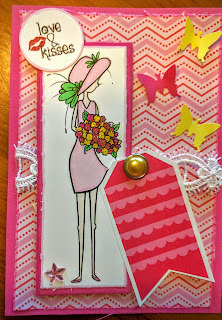 Jag deltar i fäljande utmaningar: Glitter'n'Sparkle (Tag It), Allsorts (Photo inspiration: Pink, green and flowers), Fussy and Fancy Friday (Lace and Flowers), Kort o Mania (Sommer), Crafting with Friends (ATG) och Crafter's Café (Things with Wings). 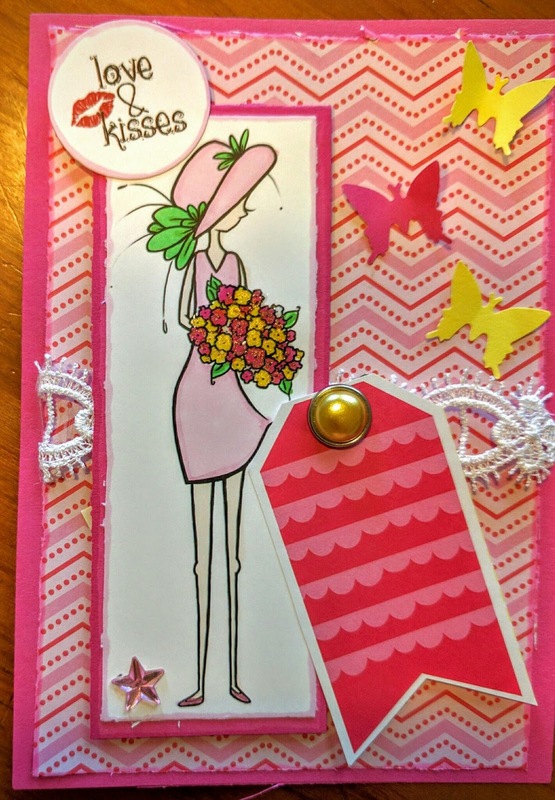 A pretty creation for our them this week Jessi, many thanks for joining us at Allsorts challenge. Cute card. Thanks for joining us at The Crafter's Cafe this fortnight for our "Things with Wings" challenge. Hi Jessi! This is such a pretty card! Just perfect for my Flowers and Lace Challenge! Thank you for joining us at Fussy and Fancy!